The word breath can be translated to mean, spirit or soul. In Latin, the word spiritus is used to describe the physical intake of air but is also the word for spirit (Grof, 2000). Breath plays an essential role in many traditional cultures. There are many similarities throughout these cultures -- they all have viewed or continue to consider the concept of breath as being the physical air that is taken into the lungs, but also as the spiritual life force that creates life. For example, the word, prana, translates to mean air and breath but also means the “sacred essence of life” in Indian philosophy (Grof, 2000). The word, ha, is the word for breath in the Hawaiian language, and is related to the word, mana, which is the spiritual force. The word in Chinese medicine for breath and the air that we breathe is Chi. This word also means the “universal and cosmic energy of life” (Grof, 2000). The word, Ki, is also similar in the Japanese tradition, which plays a significant role in martial arts, and many other spiritual practices. The Greek the word, pneuma, translates to air/breath but was also used as spirit or life energy. The Greeks believed that the breath is connected to the mind and that spirit and mind are both closely related (Grof, 2000). The connection between breath, mind, and spirit dates back through many preindustrial civilizations as we can see from the previous examples. Many of these cultures worked with the breath by creating and practicing different breathing techniques. Some breathing techniques were meant to alter consciousness for various religious, spiritual, and ceremonial purposes. For example, the Essenes practiced a method of suffocation by submerging an initiate underwater to induce an experience of death and rebirth. This technique can be considered as the original form of baptism (Lee, K., Speier, P., 1996). Breathwork also served as a healing modality throughout many shamanic cultures around the world. Each breathing technique varies among cultures, but there is a universal theme - breathwork is a technique that fosters a non-ordinary state of consciousness to facilitate self-discovery, healing, transformation, and much more. For example, the Kalahari !Kung Bushmen of Africa use a rapid and shallow breathwork, along with dancing to attain !kia, which is a powerful emotional and physical state of ecstasy. The men who reach !kia during the ceremony can perform healing rituals for others (Lee, K., Speier, P., 1996). The alteration of breathing patterns can produce profound changes in human consciousness. Changes in consciousness can occur when one holds their breath for a period of time, or when using many deep and shallow, fast pace breaths by hyperventilating. There are a variety of methods that vary throughout cultures, and some are highly sophisticated such as pranayama breathing in the Indian tradition of yoga. This process involves breathing patterns that consist of holding breath for a prolonged period, as well as using a hyperventilating-like style of breathing (Grof, 2000). This breathwork technique helps with cultivating prana or life energy, which aids in awakening and healing the body, mind, and spirit. Breath is also used to attain non-ordinary states of consciousness for spiritual growth as well as connecting the mind, body, and spirit (Lee, K., Speier, P., 1996). Some examples breathwork used for spiritual development consist of practices such as Kundalini Yoga, Sufi practices, Buddhist meditation, Taoist meditations, Siddha Yoga, and Tibetan Vajrayana (Grof, 2000). The re-emergence of breathwork in Western culture started during the 1960’s with Leonard Orr, who discovered a rebirthing breathwork while sitting in a hot tub experimenting with deep breathing patterns. This deep breathing resulted in a powerful experience that made him believe he had relived part of his birth (Lee, K., Speier, P., 1996). Research with breathing techniques within psychology and psychiatry was conducted by the psychoanalyst, Wilhelm Reich, who was also a student of Sigmund Freud. Reich developed a therapy called, character analysis vegetotherapy, which consists of exploring and releasing emotions stored in the body by using deep breathing techniques (Lee, K., Speier, P., 1996). This method was a way for individuals to explore their psyche, and to have breakthroughs of repressed memories and emotional feelings. A student of Reich, Alexander Lowen, also developed a technique that stemmed off of Reich’s breathwork called Bioenergetics. This method consists of using breathwork along with different body postures and exercises (Lowen, 1975). Lowen (1975) stated that “only through breathing deeply and fully can one summon the energy for a more spirited and spiritual life” (p. 66). One significant development in Western breathwork has been the development of Holotropic Breathwork -- a powerful breathing technique that was developed by Stan and Christina Grof. 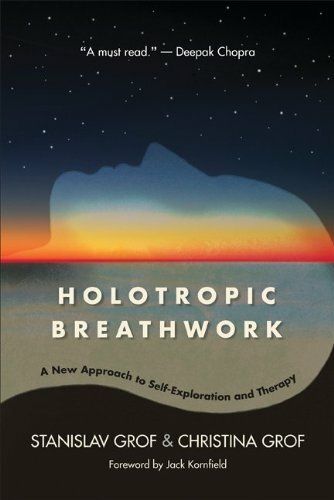 As mentioned on the Holotropic website, Holotropic Breathwork is a "powerful approach to self-exploration and personal empowerment that relies on our innate inner wisdom and its capacity to move us toward positive transformation and wholeness." This section highlights the mechanisms of action of Holotropic Breathwork and other similar forms such as Transpersonal Breathwork. The biological and physiological mechanics of breathwork seem simple but are very complicated. It is believed that breathing deeper and faster brings more oxygen to the brain and body. Grof (2010) states that this is true for the most part, but deeper and faster breathing also eliminates carbon dioxide (CO2) out of the body which causes vasoconstriction in the body. The elimination of carbon dioxide from the blood and body causes an increase in alkalinity. An increase in alkalinity happens because carbon dioxide has acidic properties (Grof, 2000). Higher alkalinity in the blood causes less oxygen to move into body tissue. This has all sorts of complicated effects on the body and the brain (Grof, 2000). One interesting note, though, is that this process might also affect the cerebral cortex. This scenario is observed in people/cultures that live in high mountain altitudes. Grof mentions that even though people that live in the mountains, physiologically their bodies get used to the oxygen levels and begin to adapt. These cultures are also known for their advance spiritual belief systems (Grof, 2000). Grof states that the yogis of the Himalayas, the Peruvian Incas, and the Tibetan Buddhists all have such advanced spiritual systems and he wonders if the role of less oxygen had played a role in the development of such practices. Grof (2010) mentions that the situation of the cerebral cortex being affected causes a decrease in cortical processes and thus intensifies parts of the older, archaic part of the brain which makes unconscious processes more accessible (Grof, 2000). Deep and conscious breathing techniques have a variety effects on the brain and body. Circle breathing can increase serotonin, alpha brain activity, and dopamine release (Lalande, Bambling, King, and Lowe, 2012). These changes in brain chemistry can lead to a positive shift in mood, motivation, attention, and arousal, while feeling an increase in relaxation, mental clarity, and emotional regulation (Lalande et al., 2012). This suggests that breathwork can have a positive effect on one's overall mental and physical health. Grof, Stanislav. (2000). 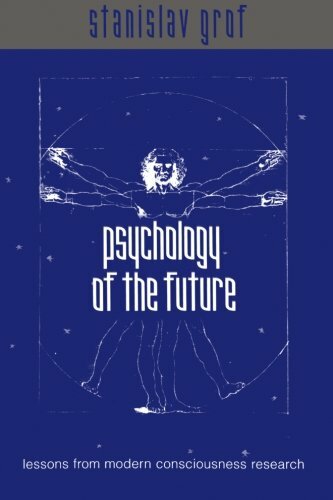 Psychology of the Future: Lessons from Modern Consciousness Research. Albany, NY: State University of New York Press. Grof, Stanislav, & Grof, Christina. (2010). 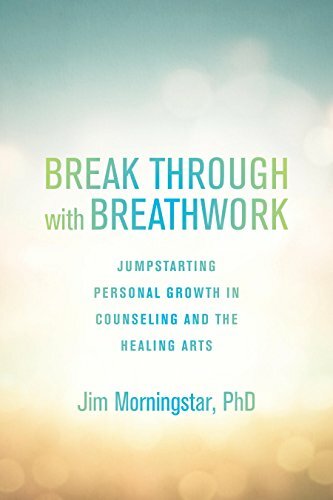 Holotropic Breathwork: A New Approach to Self-Exploration and Therapy. Albany, NY: State University of New York Press. Lalande, L., Bambling, M., King, R., & Lowe, R. (2012). Breathwork: An additional treatment option for depression and anxiety? Journal of Contemporary Psychotherapy, 42(2), 113-119. Lee, Kathryn J., & Speier, Patricia L., (1996). Textbook of Transpersonal Psychiatry and Psychology. New York, NY: Basic Books.